I have posted a lot of animals recently so it is time for some Mechanography. 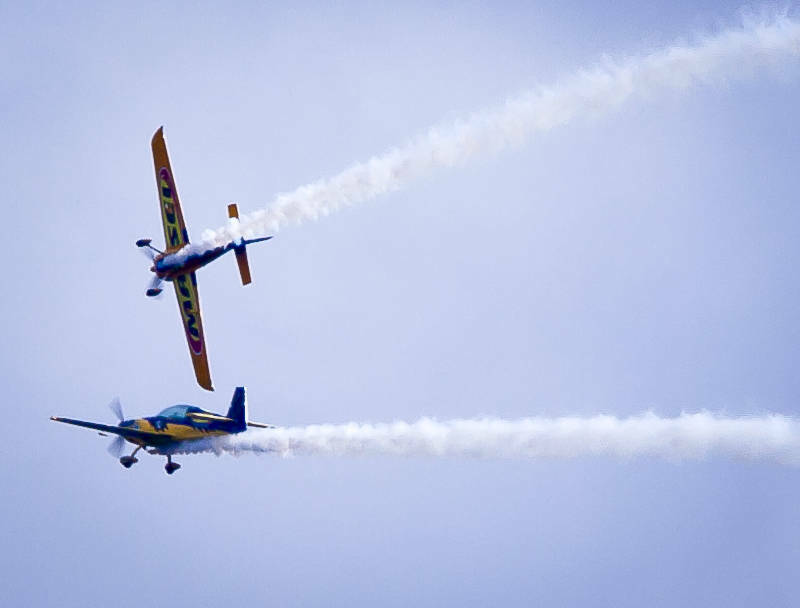 These stunt planes were the warm up display before the Sydney New Year Fireworks. The show included dive bombing Circular Quay and doing a flypast of the Opera House. It was so low we could barley see the aircraft behind the ships in the harbour. Quelle vue de ces avions en acrobatie sueprbe et ce traces dans le ciel sueprbe.